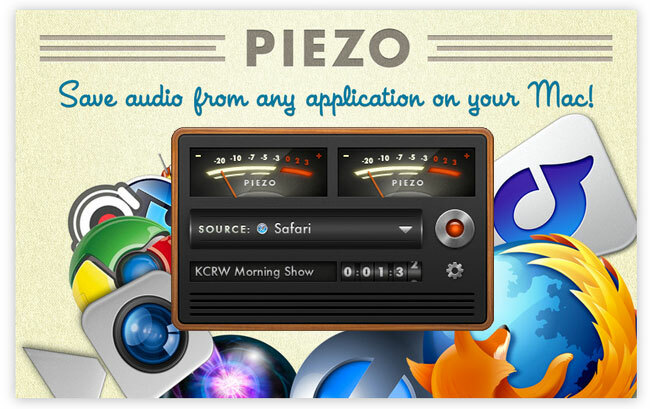 Rogue Amoeba has launched a new application called Piezo this week which has been designed to allow you to record audio from any Mac application you like, or from connected audio devices and microphones. Piezo requires hardly any configuration to start recording, and has been created by the developers of the popular Audio Hijack Pro application. Audio Hijack Pro provides both audio capture and live filtering for OS X. But unfortunately could get past Apple’s App regs to be included in the Mac App Store. The new Piezo app available for $10 or £6.99 is now able to bring many of those same features to the Mac App Store. Enjoy!